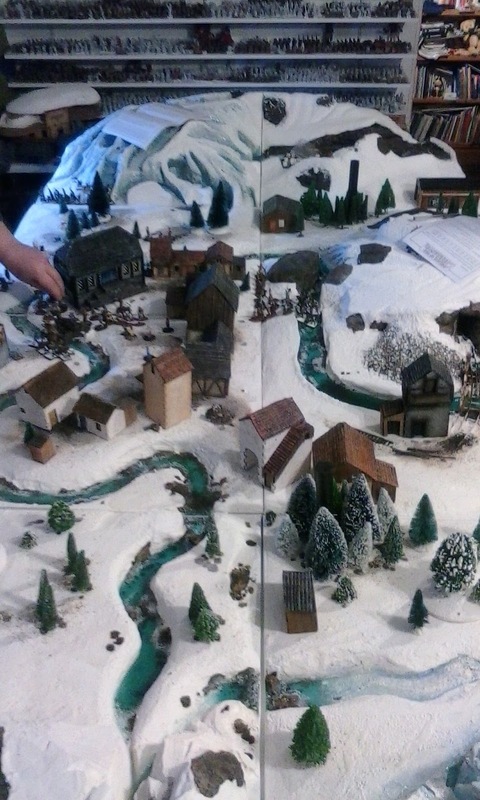 Some dreadful phone pictures of our big winter game 2018. Hopefully Harry and Mike can contribute some better shots, I forgot my camera and was forced to use my not-great phone camera. Lovely gaming table! Great report. Gimbrin's mine, all is quiet. The Blue Blooded Bandits make their way down the valley. The Bogels flee from their farmhouse as a handful of local rangers come to their aid.